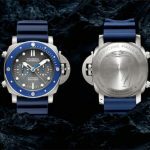 Luxury watchmaker Audemars Piguet and Richard Mille stated back at the end of September in 2018 that they would be withdrawing from the prestigious Salon International de la Haute Horlogerie trade show. Audemars Piguet and Richard Mille is currently two of five independent brands that is part of the annual show that is held every year in January in Geneva. In a brief statement, Richard Mille stated that this year’s SIHH 2019 would be their last. The reasoning behind it was the trade model no longer works for the brand. The company, known for its highly advanced and limited-edition timepieces first joined SIHH back in 2010. Three hours after the announcement from Richard Mille, Audemars Piguet announced they too would be withdrawing after the 2019 show. The Le Brassus-based luxury timepiece brand whom has been part of the show for the past 19 years stated that a changing business model was the reasoning behind their decision. 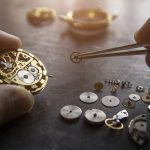 “The evolving nature of the watchmaking industry is such that Audemars Piguet’s business model is changing and the manufacture has decided to explore new directions in order to forge closer and more direct relationships with end-clients and watch enthusiasts worldwide,” the company said in a statement. Matheu’s Fine Watches & Jewelry has been providing quality products and professional services to the metropolitan Denver, CO area since 1951. The very first watch repair and service facility ever opened in Colorado. Dan Matheu, watchmaker, pioneered watch repair and services in Colorado. Today, Scott Matheu is at the helm steering Matheu’s Fine Watches & Jewelry. With his vision, Scott opened a watch store in Breckenridge and has made Matheu’s Fine Watches & Jewelry not only one of the largest watch stores to provide watch repair in Breckenridge, CO but also the entire state. Whether you need watch repair in Breckenridge, CO, watch engraving, or even if you have an antique watch that you would like appraised, you can count on Matheu’s Fine Watches & Jewelry to provide you with superior service each and every single time. All of our watchmakers are factory trained and we have CW21 Certified by the American Watchmakers and Clockmakers Institute (AWCI) on site. This certification has the most stringent standards for watchmakers performing repair, restoration, and service work on watches. With one of the largest service centers in the metropolitan Denver, CO we are not only able to provide watch repair in Breckenridge, CO but to the entire 50 states as well.